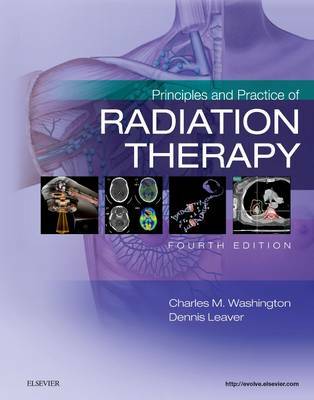 Learn everything you need to know about radiation therapy with the only comprehensive text written for radiation therapy students by radiation therapists. Principles and Practice of Radiation Therapy is designed to help you understand cancer management, improve clinical techniques for delivering doses of radiation, and apply complex concepts to treatment planning and delivery. This edition features enhanced learning tools and thoroughly updated content, including three new chapters to inform you of increasingly important technologies and practices. The up-to-date and authoritative coverage of this text make it a resource you'll want to consult throughout your radiation therapy courses and beyond. Comprehensive coverage of radiation therapy includes a clear introduction and overview plus complete information on physics, simulation, and treatment planning. Spotlights and shaded boxes identify the most important concepts. End-of-chapter questions provide a useful review. Chapter objectives, key terms, outlines, and summaries make it easier to prioritize, understand, and retain key information. Key terms are bolded and defined at first mention in the text, and included in the glossary for easy reference. UPDATED chemotherapy section, expansion of What Causes Cancer, and inclusions of additional cancer biology terms and principles provide the essential information needed for clinical success. UPDATED coverage of post-image manipulation techniques includes new material on Cone beam utilization, MR imaging, image guided therapy, and kV imaging. NEW section on radiation safety and misadministration of treatment beams addresses the most up-to-date practice requirements. Content updates also include new ASRT Practice Standards and AHA Patient Care Partnership Standards, keeping you current with practice requirements. UPDATED full-color insert is expanded to 32 pages, and displays images from newer modalities.